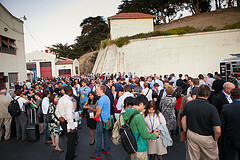 This past week, 1600 social impact enthusiasts descended at San Francisco's Fort Mason to attend the Social Capital Markets (SOCAP) conference. Centered on capital for social good, the four day event brought about discussions on impact investment, tech for good, early stage investment and much more. Attendees came from all over the globe to discuss, connect, and share on how to make meaning matter. 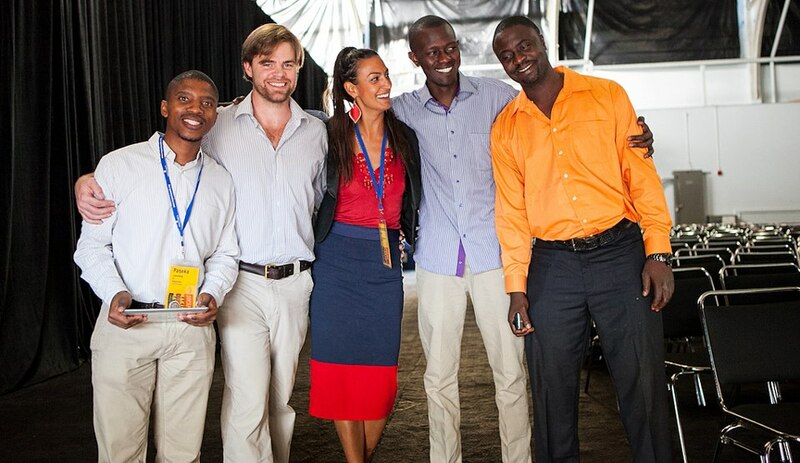 Featured speakers and key leaders within the social enterprise space utilized media this week to spread SOCAP's money + meaning message. Below are articles which give an inside look into the discussions taking place at the conference. Huffington Post: Investing for Impact: In the world of finance, ROI -- "return on investment" -- rules the day. But there is a new kind of investor nowadays seeking a different kind of return. We call them impact investors, and they seek to put markets to work for millions of people around the globe -- from the Tenderloin to the slums of Mumbai -- who struggle with hunger, homelessness, disease, and environmental degradation. 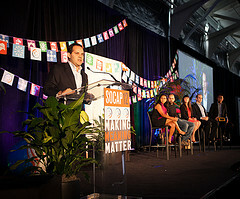 Sustainable Industries: SOCAP12 Welcomes one and all: The popularity of SOCAP means that the first job is done: Create awareness. Now we have to figure out ways for all these enthusiastic people — men AND women — to save the world. 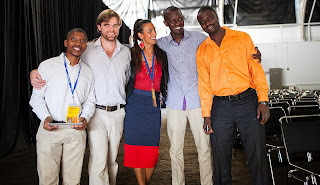 Kiva has attended the SOCAP conference since its launch in 2008. 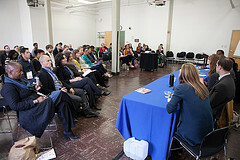 On Thursday, Kiva President Premal Shah curated the panel, "Crowdfunding: Opening the Door to the Average Person." Kiva's philosophy that $25 can change a life is spreading across all sectors and making it possible for global citizens to invest for good.